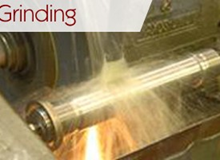 We are a specialty manufacturer, specializing in the turning and milling of exotic alloys, hard metals and large parts. 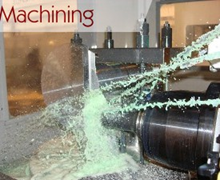 Our machine shop is extensively equipped with a wide variety of CNC and manual machines. We were founded as a grinding business more than 50 years ago, and today maintain significant capabilities in ID, OD and flat surface grinding. Additionally, we are industry leaders in spherical grinding and are capable of precisely grinding ball valve balls up to 53″, particularly for use in severe service applications. 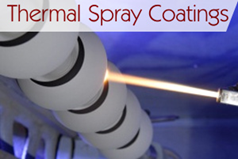 Our thermal spray coatings offer corrosion and wear resistant solutions for critical components. We are extensively experienced in the application of an encyclopedic number of exotic alloys. Coatings are applied at our fully automated robotic spray facility and quality monitored by our on-site Metallurgical Laboratory. We pride ourselves in supplying the best quality coatings and manufactured products in the industry and our A2LA Accredited ISO 17025:2005 laboratory allows us to ensure the quality and consistency our customers demand.